SKY TV issues? Contact us! satellite TV system. Call 01202 729656 today! We can install your flat screen TV onto your wall. Aerial Wizard is a leading Satellite and TV aerial installation company in Bournemouth Dorset. We specialise in the supply and installation of satellite and aerial systems, for residential and commercial properties. Incorporating Freeview, Freesat, Sky, European / foreign satellite, motorised satellite dishes and receivers, TV wall mounting, servicing and repair, we offer solutions to all your TV and satellite needs. We only use quality materials and tools and we pride ourselves on the quality of our work and excellent service. Offering a free no obligation quote to suit all budgets and guarantee all systems installed and parts supplied. 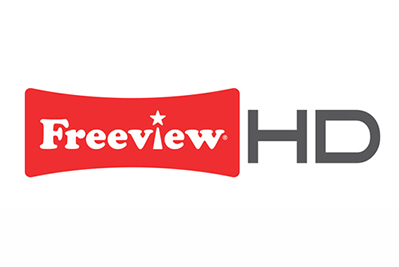 Freesat or Freeview? High definition or a Recordable plus box? With over 150 free channels as standard on freesat, you’ll be spoilt for choice. Howard completed the job with great care, got round problems efficiently, kept us informed at all times, would thoroughly recommend. Aerial point to lounge and LED tv to wall - Aerial Wizard was recommended to me by a work colleague and Howard has carried out work for me twice now. And I will always look no further for my tv and networking needs. Howard actually saved me money rather than charge me more. I found him very knowledgeable and competent, polite and helpful. On both occasions I was expecting to discuss the job and price and on both occasions Howard was able to carry out both jobs there and then! I would fully recommend Aerial Wizard and his work. Arrived on time, ran through our options and completed tasks in a very professional and polite manner. I would highly recommend and use again! Aerial cabling points installed in two bedrooms - Howard did a great job tapping the only terrestrial aerial point and cabling along two exterior walls into new points in the bedrooms. He also analyzed the Free view signals and improved them with the installation of a signal booster. Very neat cabling. I highly recommend. Two televisions wall mounted and cable taken to two rooms - Howard is a very pleasant young man. He took his boots off as soon as he entered the door, without being asked. He assessed the job in hand reported on the cost and roughly how long the job would take. I had no hesitation in telling him to carry out the work. He did a very neat job with the cables and the wall mountings. Hiding the cables for the most part. He is clearly experienced and confident. I would have no hesitation in recommending Howard to friends and family. Satellite installation to two flats - Having quickly diagnosed a fault I was confident to have Howard back for satellite installation to two central Bournemouth flats. All carried out in a knowledgeable, efficient and workmanlike manner. This guy is good, kept to his price and is a pleasure to do business with. Installation of satellite dish and run cabling to two rooms - Good professional job. Howard arrived exactly on time carried out work to our exact (picky) specifications. Left our home clean and tidy so would have no hesitation to recommend to others. Howard quickly diagnosed the problem as poor signal quality due to old aerial amplifier/splitter. He supplied and fitted a replacement, which solved the problem. He also fixed the amp to a joist in the loft and tidied up and secured all the trailing cables. A great job done in less than 30 minutes and at a fair price. Diagnosed poor Freeview signal and replaced faulty aerial amplifier/splitter. Freeview aerial signal fixing - Howard was great and I would not hesitate to recommend him! He was very friendly, polite and had a fair price. Got the job done from the initial call I made in great time. He used decent material which made all the difference and in addition he took great care to re-fix a separate signal pole on our building which had previously been installed by someone else to a low standard at no extra cost and was even kind enough to do a favour and remove some flags of the side of our building which I could not reach - nothing was too much trouble and I will only use Howard for future jobs now!